Let’s start by saying you’ll feel like a captain yourself, with tables made from old ships, colorful hanging glass buoys, an enormous marlin as the restaurant’s centerpiece, steering wheels, propellers and vintage diving suits on the walls. There’s even a statue of a dolphin that greets you as you enter. It’s a seafoodie’s paradise, and locals and tourists alike have come to love the place for its nautical décor, beautiful views and fresh food. It’s busy – even on a Monday – but there’s plenty of seating (725 seats, to be exact) overlooking the harbor, where commercial fishing boats are docked just outside, waiting to deliver your dinner. The bread they serve before your meal is a treat – nice and crunchy on the outside, but soft and warm inside. Order the she-crab soup for an amazing appetizer. It’s extremely creamy, with big chunks of lump crabmeat. You can choose a specialty cocktail or pick your perfect wine pairing from the restaurant’s extensive list. Opened in 1967 and owned by the Patronis family, the restaurant serves old classics as well as new favorites – with many items holding strong from the original menu, including the Oven Broiled Stuffed Jumbo Gulf Shrimp and the Capt. Anderson’s Famous Grilled Bay Shrimp. There are select cuts of steaks to choose from, but the best way to eat your beef is with a side of seafood. Surf & Turf is one of the most popular dishes – pair your meat with grouper, scallops, oysters, shrimp or popcorn shrimp. Be sure to ask about the specials, always crafted around the seafood that’s in season. If you want something lighter, try the Johnny’s Special Greek Salad – fresh crab meat and Gulf shrimp, iceberg lettuce and tomato wedges, ripe Greek olives, Salonica peppers, feta cheese, and Capt. Anderson’s famous homemade Greek dressing. Brothers Johnny and Jimmy have built more than an eatery – they’ve built a tradition, serving upwards of 250,000 guests each season. (They’re open 8 months out of the year, closing November to February.) The restaurant has been voted No. 1 by Southern Living Magazine, and ‘Best Seafood Restaurant’ by the Travel Channel. Those are pretty steep bragging rights, and they live up to them. Capt. Anderson’s Marina is a separately owned venue located just behind the restaurant. For an authentic Panama City Beach experience, watch the fishermen unload the catch of the day, beginning daily at 4 p.m. The marina houses a small outdoor cantina and souvenir shop, fish market and boat slips. The fishermen come off the commercial boats and head directly to the fish market to have their catch weighed. It’s all very fast paced and frenzied, a spectacle you’ll love to see. The boats are big and beautiful, and you can book tours to board different kinds of cruises, from inshore or offshore fishing to dolphin and sunset cruises to ferry rides to Shell Island. Arrive early for the show, hop on a sunset cruise, then finish your evening with dinner at one of the best restaurants around – where you know the fish is fresh. Capt. 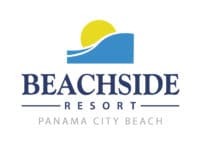 Anderson’s Restaurant is located at 5551 N. Lagoon Drive in Panama City Beach FL. For more information, call (850) 234-2225 or visit the Capt. Anderson’s website, where you can even order Capt. A’s to go! The marina is located at 5550 N. Lagoon Drive. 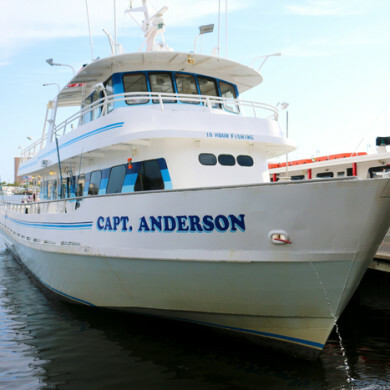 To book a charter, call (850) 234-3435.